Change is an inevitable phenomenon. The anomaly of life is that change is the single stability of expectation. From ancient times, beginning with the Pre-Socratic Greek Philosopher, Parmenides, there has always been a recognition that constancy of flux is an inevitability, and beyond the proverbial certainty of death and taxes, the one thing we can count on is that change will occur in this fast-paced, technological society of ours. This is never truer than in this modern age. For the Postal Worker of today, the concept of change has become a stability of repetitious boredom. Over the past 20 years, the downward spiral of the U.S. Postal System, both in terms of competitive service and public reputation, has been like a slow-moving film filled with scenes of agony and torturous predictability. From 1775 when the Second Continental Congress appointed Benjamin Franklin to be the first Postmaster General, to 1970 when the U.S. Postal Service became severed from being a tax-supported Federal Agency and transformed into a revenue-neutral, semi-Federal Agency (some would say “neutered”), the heyday of the U.S. Postal Service has witnessed its progressive and steady decline since. Perhaps it is in part due to the decline of a sense of community; the pervasive headache of having gained the reputation of “going postal”; the scandalous top-tiered lavishing of jaunts and stories of mistreatment of the backbone of the Postal Service – the craft Postal employee; watching the decline of an organization and entity once considered the most efficient system of delivery in the world, is indeed an agonizing process akin to the proverbial Chinese water torture. But what does the public really know about the Postal Service, and the Postal Worker of today? Other than the brief and sporadic 2 – 3 minute encounter with the Window Clerk every so often to resolve a delivery problem; or the happenstance quick hello when the Postal vehicle comes to the community mail box to place the mail in each delivery slot; the busy world has no time for the Postal Worker of today, except to note the problems, when they occur, in the delivery of mail. And as efficiency has progressively forced the requirement of less contact between the Letter Carrier and the public being served, so the distancing of human contact has resulted in greater suspicion and mistrust. But it is precisely within the world of change in which we live, where expectations of instantaneous delivery of information, and where the daily advance of technology has attuned and habituated the general public to expect more for less, that there exists an increasing sense of trouble looming in our midst. Postmasters and other upper level management employees receive salary increases, but in an organization where the essence of its very success is defined by the physical labor of processing, distributing and delivering mail – mechanics of physical exertions little changed from the days of Ben Franklin — it is a self-defeating endeavor to ignore and fail to reward the very backbone of the organization which suffers. In comes the DRAC . There is always the “outside” versus the “inside” perspective. Thus, when driving around looking at various neighborhoods, the “outsider” may see pristine lawns and echoes of laughing children and gaiety abounding; while the “insider” knows of vandalism unreported, frequent break-ins, bad neighborhood schools, and a host of other undesirable features experienced only by those who reside therein. Similarly, the “District Reasonable Accommodation Committee”, by all outward appearances, would convey a sense to the public that the U.S. Postal Service is “looking out” for its employees (and, indeed, that would, and should, be one of the purposes in creating such an entity, so long as there is substance behind the public relations side of things). For, in the end, how an organization treats its employees for the long-term, provides the foundational basis for attracting potential recruits in the short-term. Both feed into each other: a company which gains a reputation for mistreating its current employees will fail to recruit good employees for the future; those who lack a coherent plan of treatment well into the future, will fail in its present course through loss of morale and retention of the best and brightest. 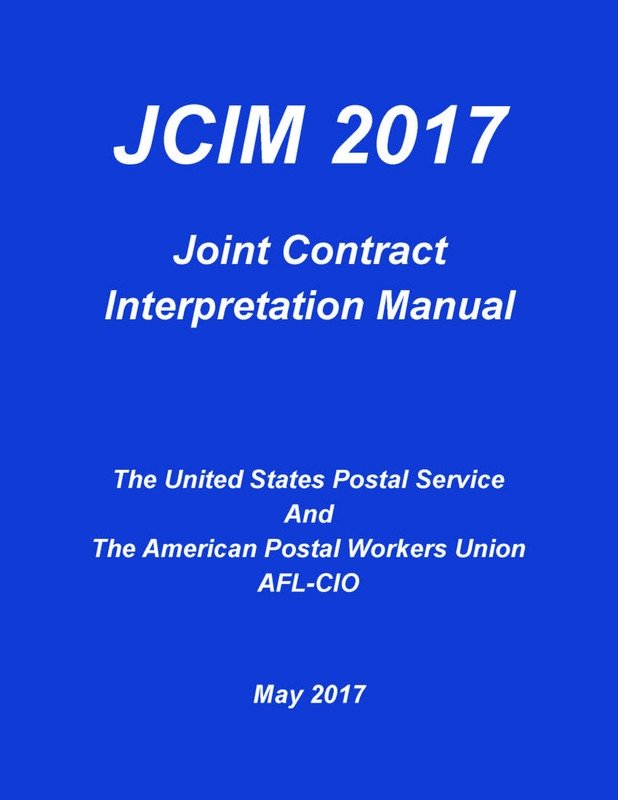 From most accounts and from multiple unnamed sources, the “insider” view of the Postal District Reasonable Accommodation Committee, is that it fails to seriously attempt to accommodate Postal employees who – while limited by physical restrictions and medical conditions which prevent one from performing all of the essential elements of one’s job – nevertheless desire to continue working. Obviously, every organization must attempt to strike a proper balance for its injured employees. On the one hand, continuation of employment must still bring about productivity by the retained employee; and, on the other hand, systematic dismissal without regard to age, seniority, and prior contribution to the company cannot be condoned. In more simplistic terms, a company cannot afford to have a factory full of paper-clip counters just to show the public what a good employer it is; but at the same time, one should take care not to deserve a reputation of getting rid of every employee who is a year outside of retirement, for being unable to do the same level of physical work as he or she did 20 years previously. For the Postal Worker who has put in multiple decades of constant grinding of limbs, neck, knees and back, the conundrum of age, growing infirmity, and the battle against time, often leads to a finality of recognition that a lifetime of repetitive physical labor cannot withstand for long the inevitability of progressive physical deterioration. What are the options remaining for a disabled Postal employee? DRAC was supposed to answer such a question; so was filing a claim under OWCP through the Department of Labor, under the guise of the Federal Employees’ Compensation Act (FECA). When work-related physical or psychological harm was incurred, OWCP claims were meant to provide temporary compensatory relief during the time of recuperation from such injuries. If and when the injured Postal Worker was able to return to work, even in a limited capacity, the District Reasonable Accommodation Committee was empowered to assess, evaluate, and make meaningful determinations in matching jobs to medically-limited Postal Workers, through modifications of assignments and flexibility of hours. Or so the theory went. What options are left? Fortunately, Federal Disability Retirement is available for the Postal Worker. While the U.S. Postal Service is no longer a Federal Entity as envisioned from the days of Benjamin Franklin; and with the transformation into a “revenue-neutral, quasi-Federal agency” in 1970, there have definitely been changes wrought within the basic structure of the U.S. Postal Service. Yet, Postal employees are still categorized as under the Federal Employees Retirement System (FERS), or the Civil Service Retirement System (CSRS) – the latter (CSRS) being from the days of dinosaurs and extinct species of single-celled creatures long forgotten; as well as hybrid types such as CSRS-Offset. As such, Federal Disability Retirement is a benefit which can, and should be considered, by the Postal Worker who (A) is injured, (B) can no longer perform all of the essential elements of one’s job, and (C) abandoned by either DRAC or (D) ineligible for OWCP benefits. As to (D) – remember that OWCP is not a retirement system, and as such, even those Postal employees who qualify and are eligible for OWCP benefits should consider filing for Federal Disability Retirement benefits concurrently. This is because OWCP – not being a retirement system – will often and without much warning terminate benefits based upon non-compliance issues, including sudden “job offers” which must be declined because they fall outside of the parameters of medical restrictions, or because a “second opinion” or “referee” doctor declares that an individual is fully fit for duty after a 2-minute (if that) cursory examination of the debilitated Postal Worker. Further, because the U.S. Office of Personnel Management, the agency which reviews and approves/disapproves all Federal Disability Retirement applications, is taking several months to render a decision, it is prudent to file early, even if intended as a “back-up” system to an ongoing OWCP claim. Change and uncertainty are elements which pervade modern life. To buttress such inevitability and the ongoing vicissitudes which haunt the U.S. Postal Service of today, the U.S. Postal Worker must be attuned to the multiple obstacles, potholes and proverbial bends in the road. Knowing the games organizations play is one thing; maneuvering around them is quite another. Federal Disability Retirement is a viable option which continues to provide a valuable benefit for the U.S. Postal Worker of today, when medical conditions or injuries impact one’s life to the extent that the Postal Worker is no longer able to perform all of the essential elements of one’s job. DRAC aside, when the loyalty of an organization becomes a question, it may be time to abandon the proverbial sinking ship.